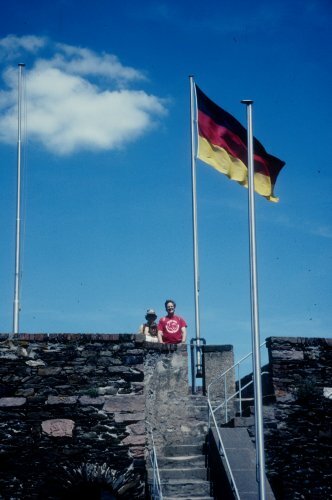 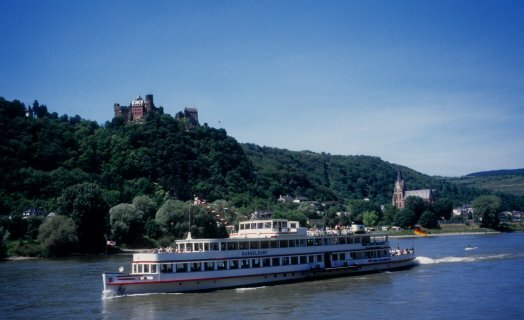 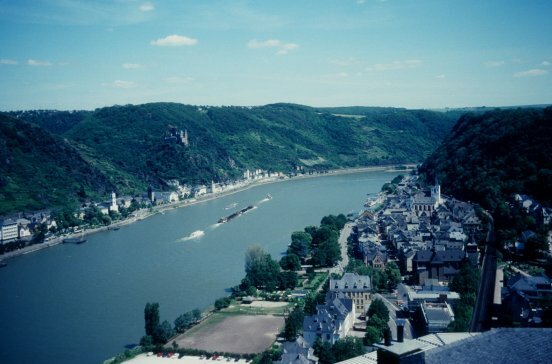 Although our friends were concerned about our finding the way on our own, we had no trouble getting to Bingen, where we caught our Rhine River cruise ship. 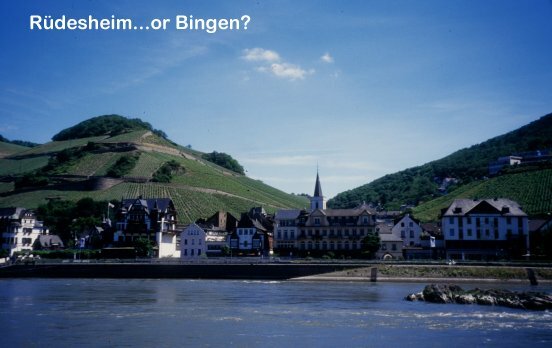 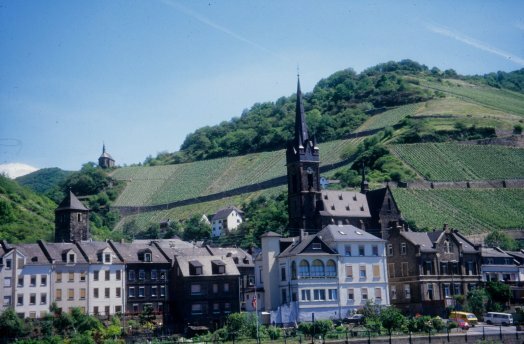 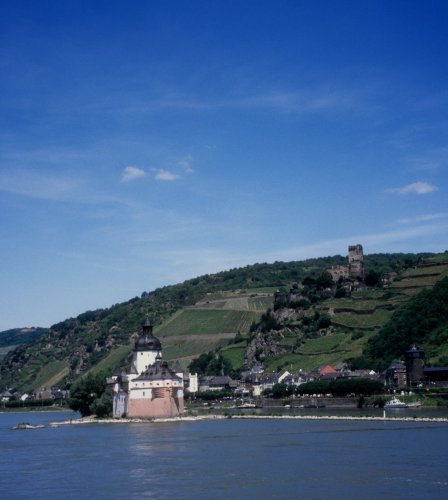 We took the round trip from Bingen-Rüdesheim downstream to St. Goar, and back. What a wonderful excursion! 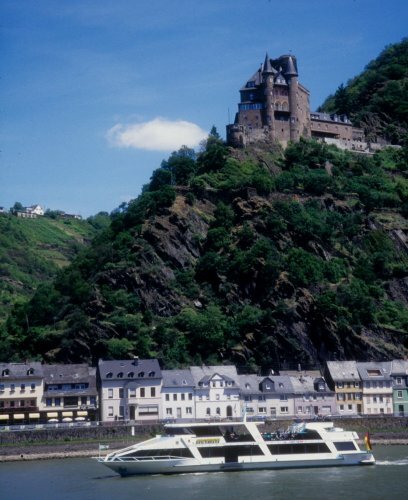 The main attractions along the river banks are its many castles. 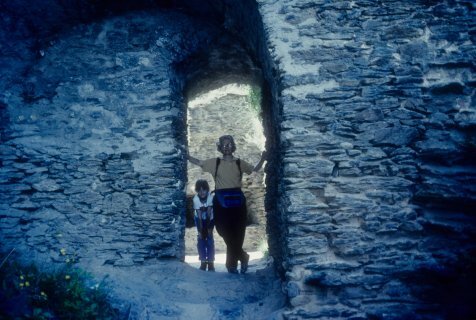 Although we didn't know their names (or at least I don't remember them, and didn't note them in my little journal) while arranging them here I found a wonderful website that made identifying them an easy, and fun, exercise. 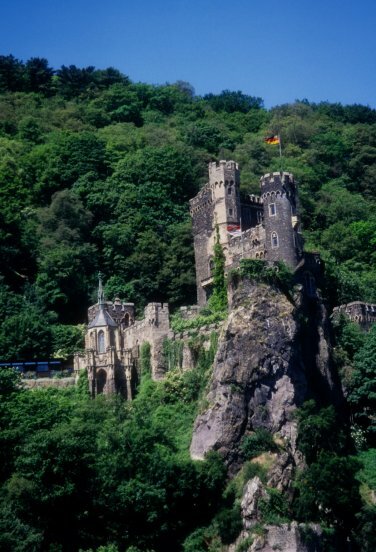 Check out Loreley-Info to match them up yourself, and for more information on these fascinating structures. 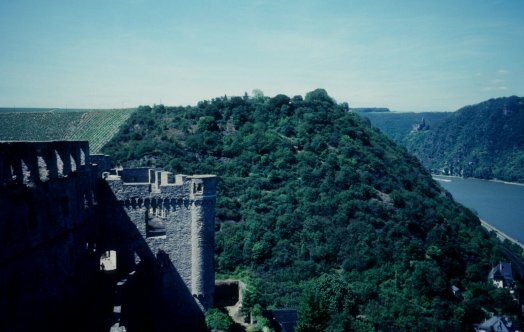 On this page I've arranged the castles in the order we saw them on the trip downstream. 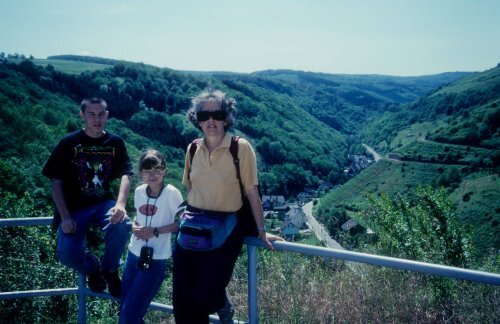 Some of the pictures were taken then, and some on the way back. 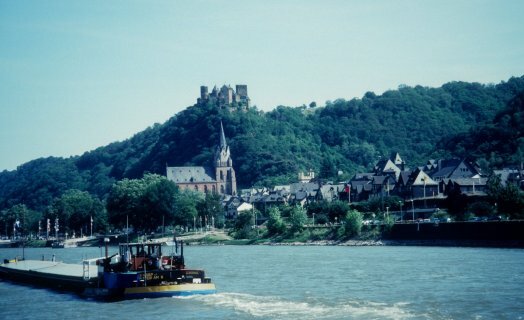 Other miscellaneous scenery, such as charming riverside towns, are in more or less the order that we saw them. 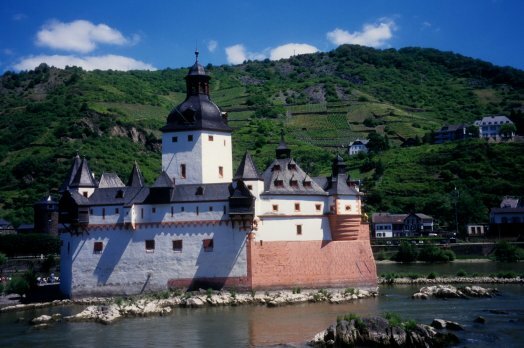 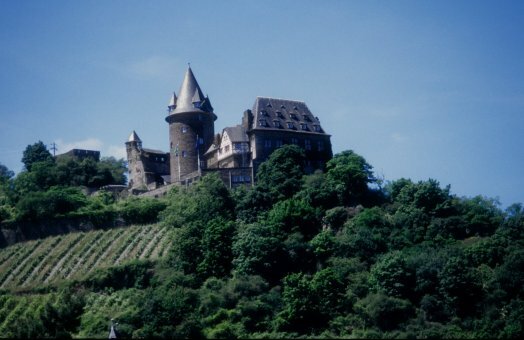 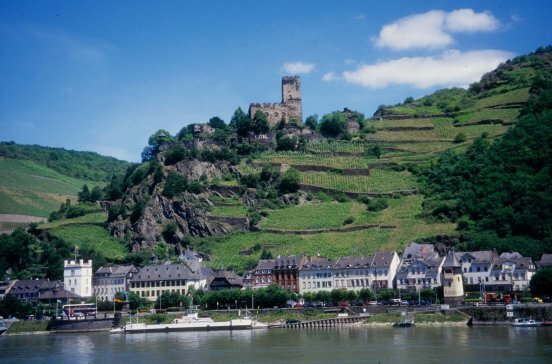 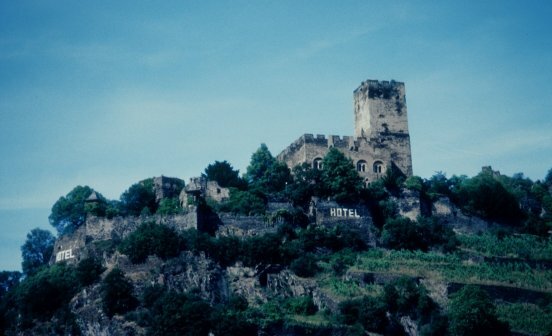 One of the most photogenic castles is Stahleck, situated on a hill above the village of Bacharach. 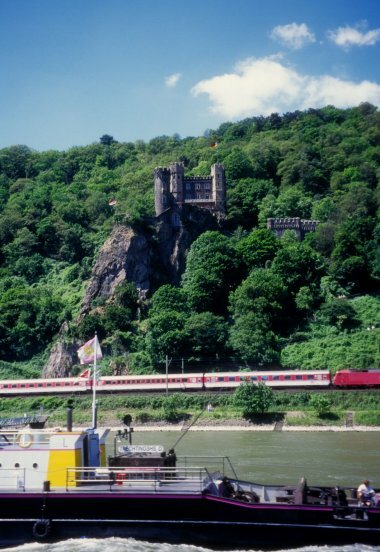 The last castle we only saw from the boat was Schloss Katz ("cat"), very near the famous Lorelei bend in the river. 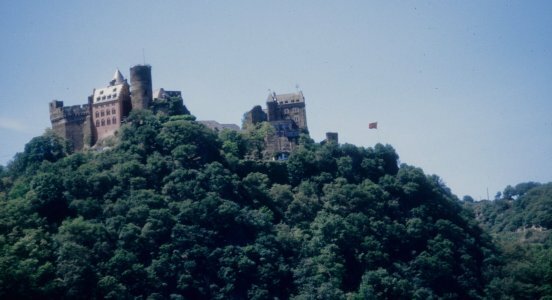 And also across the river from a castle we were able to see much more closely (see below). 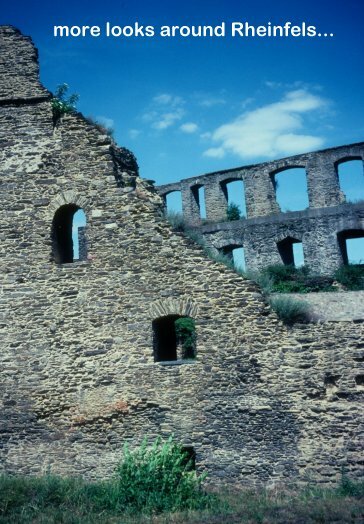 At the village of St. Goar, where our cruise turns around and heads back upstream to Bingen, there's a ruined castle we were able to explore before our return journey: Schloss Rheinfels. 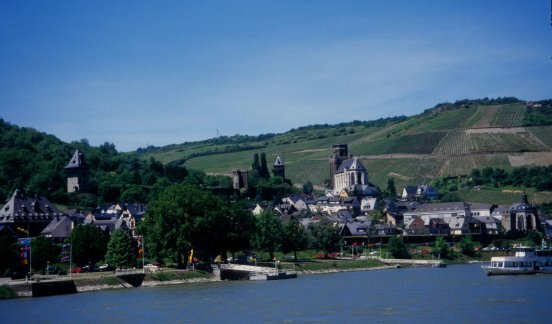 I'll finish up this report on our wonderful Rhein cruise with these two photos of beautiful little towns on the river. 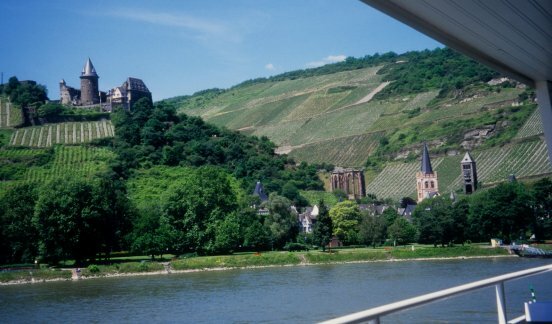 On the left is what I think is St. Goar. 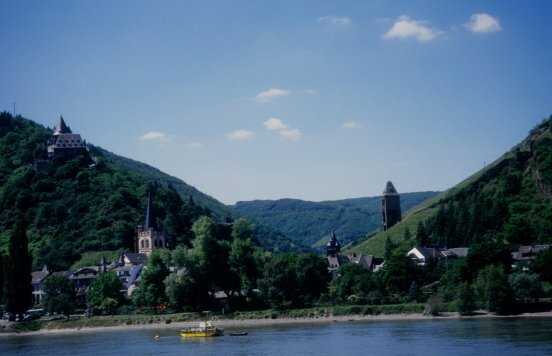 On the right is Lorchhausen, near Schloss Gutenfels. 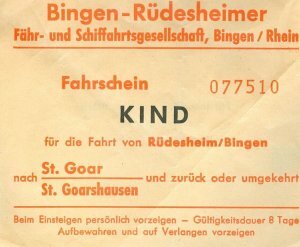 This ticket stub isn't exhorting visitors to be "kind." 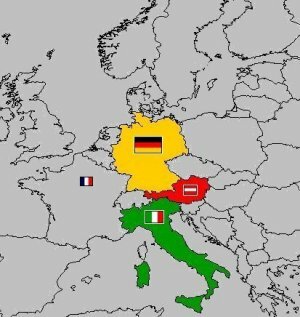 It's Sally's child's ticket. 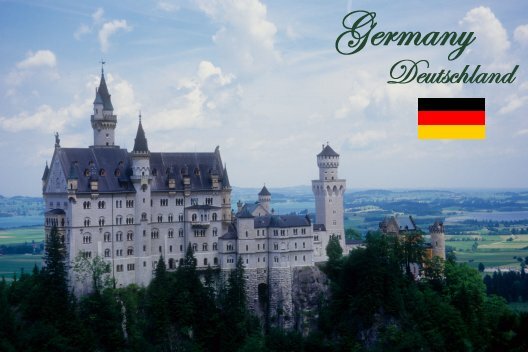 "Kind" means "child" in German. 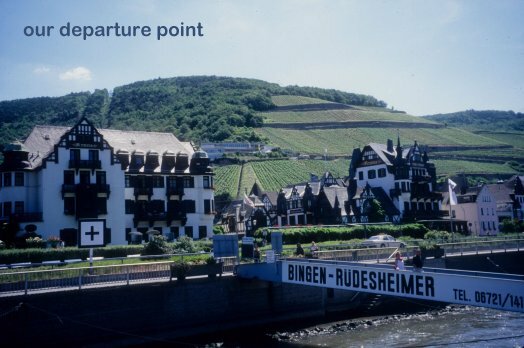 More translation: "Ticket for the journey from Rüdesheim/Bingen to St. Goar/St. 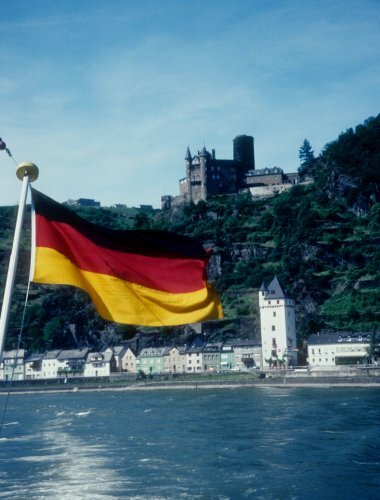 Goarhausen and back"